Find out about the general job market, wages and trends, skills and abilities required fro specific occupations, and career information unique for your state. This site allows employers to list vacancies and applicants to file resumes. It also has information about employment trends and job seeking strategies. This top notch subscription site also known as Career Explorer, has daily updates on careers written in a highly readable, informative style. Archived articles provide current career information on countless occupations. Also has information for educators who teach career exploration. other career oriented web sites, ask the experts, and career news from the USA Today. List provides links to career development services at many different universities. A different career is profiled every day in this free career newsletter. It covers the work, the people, the facts and the education or training you need for career success. Just click on the U.S. button (top of page) to read about salaries and the job outlook, education programs and much more. Current employment news headlines, a daily career news feed, and informative career e-zines keep you on top of your goals and connected with your next career. This site helps students conduct an on-line job search after completing a resume and also has career assessment features. This exercise is based on career guru Dr. John Holland’s theory that people and work environments can be loosely classified into six different groups. Different peoples’ personalities may find different environments more to their liking. Features and programs designed to assist employers and job seekers communicate with each other and facilitate the employment process. Here you’ll find information on how to find the right job. In addition to resources that can help you locate career opportunities, it includes a wealth of information on resume writing, interviewing skills, best-paying and fastest-growing fields and careers, etc. This site offers a cluster approach to career exploration based on the Holland organization scheme. Information on specific jobs can also be sorted by years of training required. This WebQuest will take you through a process of exploring careers and colleges using the Web. It is designed to develop skills required in researching potential majors and colleges. It takes a student through the steps a good guidance curriculum uses to help students refine career/college plans. Article from the Occupation Outlook Quarterly advises you on how you can get paid for doing what you enjoy so much you’d do it for free. Download and print the entire article as a pdf file. Limited but growing data base of information technology programs: education, employment and training across the country. One of the best ways to find out what’s involved in a career, is to talk to someone in the field. Check this site to find out how and what questions to ask. Job Corp is the only national residential job training and education program for at-risk youth 16 to 24 and is a top source of entry-level workers. It offers young people industry validated, up to date skills training, as well as world of work and social skills tips that teach young people how to act on the job site. Experienced workers share the rewards and stressful parts of their jobs, basic skills required, challenges of the future and advice on entering the field. 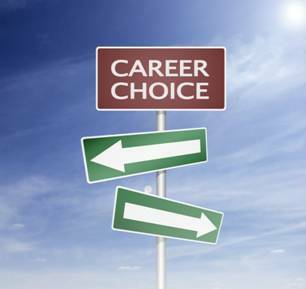 This site is packed with information about planning your career. What kind of training or education is required? What can you earn? What kind of environment will you work in? What’s hot? What’s not? Some sites include personal stories from folks working in the field: how did they move (or stumble) into their current work situation? What advice would they give newcomers? Extremely complete collection of career information including job search, info on career choices from aquatic science to zoo keeping, on-line periodicals, reference sources, etc., Medical, Law, Business Schools, etc., minority resources, info for persons with disabilities, & international resources. Also contains info on writing a resume.